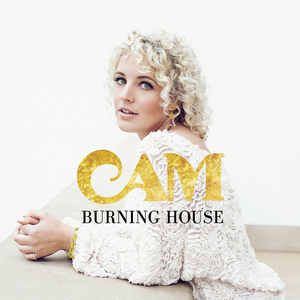 Cam is without a doubt one of the best female country singers in country music right now. 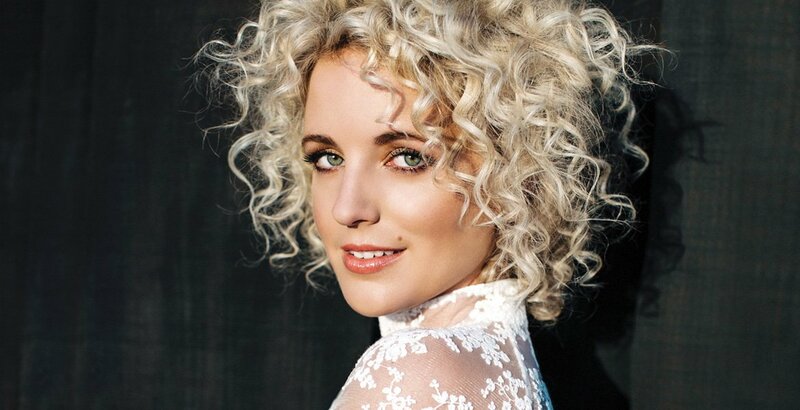 Her voice is effortlessly flawless with a pure rich tone which has a strong, natural, traditional style to it making her on par vocally with artists such as Dolly Parton. 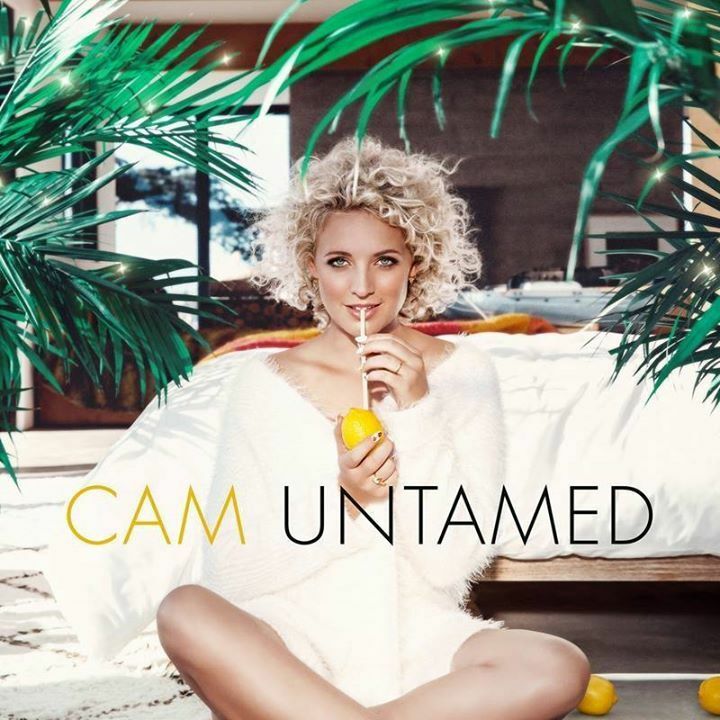 Cam has created a storm within country music since the release of her breathtakingly beautiful and emotive single Burning House and has since then created one of, in my opinion, the most beautiful albums ever made in music titled Untamed. Cam has started to become an honourary Brit and we are more than happy to have her. I caught up with Cam after her last visit to the UK to discuss her time here as well as other topics. 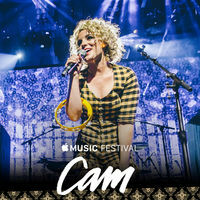 I loved chatting with Cam, she is every bit as bubbly and nice as you would imagine. Hi Cam, how are you? Hello, I am good how are you? How has your week been? Are you still in Nashville? I am just in Nashville; it’s really nice to be home for a little. Just finished the CMA Festival. How was CMA Fest? What did you get up to? It was great. We did shows and a ‘Coffee with Cam’ kind of meet and greet, where we hung out with people and drank coffee and we get to take pictures and that. I performed at the Riverfront Stage and just ran around and saw who was in town. Actually there were a lot of British fans who were there. Yes, I noticed a lot came out to see you, which is cool. Did you get to see any shows? If so, who? I got to see a little bit of the end of Brett Young’s set and then, for some reason, Kid Rock was hanging around during my set and stole a golf cart whilst my tour manager was trying to get somewhere, haha! I got to see Margo Price, too. Haha, that’s funny – and also nice you got to see Margo Price. She is coming over here to play Glastonbury soon, which will be amazing. Hopefully we will see you there one day. You were over in the UK a couple of weeks back and did a very special show where you told the stories behind the songs before singing them. How was that show for you – and do you find telling the stories of the songs builds a deeper connection between yourself and your fans? Yes, oh, my gosh! Honestly, at the end of the show, the two Swedes who played with me, saw each other and gave each other a hug. We’ve been playing together for a few years, but that was one of the most magical shows. Everybody was so ready to listen and it did put me in a better place when I was singing the songs; it helped me remember all of the stories and the details. You can sing a song a lot of times but it was nice to be able to go back and re-engage those memories right before singing them, which was really great. Everybody was so sweet and there was a really big applause after every song. I was so, so grateful that people wanted to come and listen and be a part of such an intimate thing. I ended up enjoying it so much that I played for two hours, which was wonderful. We love our songwriters, so to get the rare opportunity to hear them tell the stories behind their songs is a real treat. I think you could have played through the entire night and everyone would have stayed. Haha, that would be amazing! Also during your visit, you held a very unique and very special competition to have afternoon tea with you on a London bus. What prompted this idea and how was the whole experience? Yeah, so I normally do something called Coffee with Cam, where we just hang outside the arena or wherever we are having the show and we meet up and have coffee together with fans, which I love doing – and I love supporting local businesses. 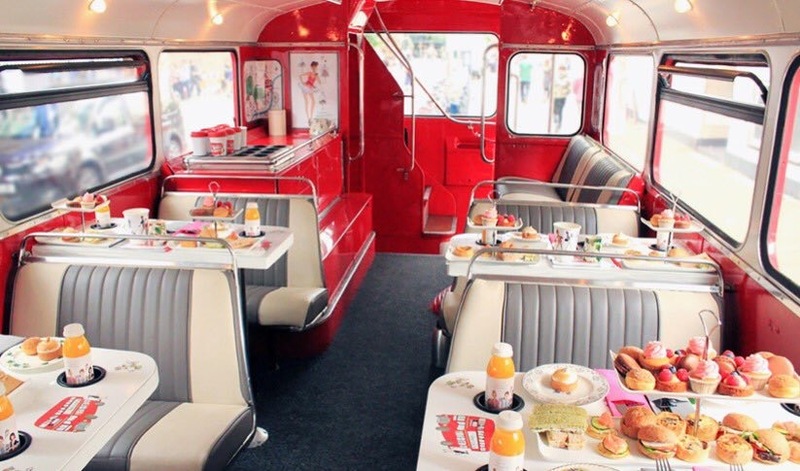 You guys seem to like tea a lot more than coffee and so we found this company that does this sort of get together with tea, cakes and sandwiches – and it’s so cute on this vintage double decker bus. Thirty fans won their way onto it and we got to visit places around London and just hang out, and I got to hop from table to table and just chat with everybody. It was wonderful because there is a really strong community in the UK fan base – they will win tickets and give them to each other and buy tickets ahead of time for each other. It was just so nice to get to kind of know them and see how the community works – and hear how they have met friends through it. I feel really lucky to be a part of it – actually, to be honest, I think it’s a really beautiful thing that everybody comes together around. 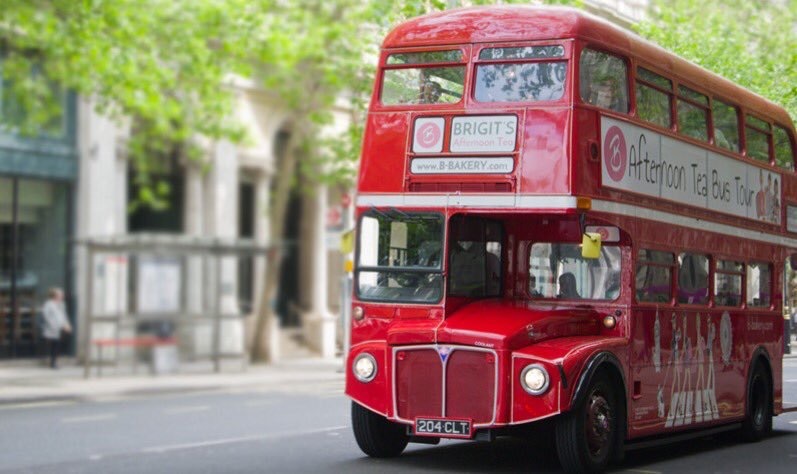 Yes, it is true too, it’s a very strong community and you can’t get more British than afternoon tea on a double decker bus! You first came over to support Carrie Underwood as part of the Apple Festival at The Roundhouse, London. Pretty much everyone in the venue sang back to you; were you aware of your fan base here at that point – and how was your first UK experience? Nooo – not at all; I think maybe just the EP was out then? Oh, my gosh! People knew the songs! I was literally shocked and then I remember coming back for the much larger C2C and being shocked to have that many people know the words. It’s really wonderful because you know that music obviously gets shared over the internet and via all kinds of places, it doesn’t matter where you are, you can find all these songs. There is something really special in that we think we are all living such different lives and live in such different places – and then some of these things I went through resonate with people who live a really far away life from me, and it’s like a big hug. You always wear yellow for every show, is it also everyday, even when not performing? Most of the time, yeah. I can’t really escape it as I’ve got so much yellow, haha, It really does make me happier and people seem happier to see me wearing it. It’s like a bright beacon of friendship or something; it’s really welcoming. There have been jokes when I haven’t worn it and people are like, ‘Oh, you’re not working today, haha!’ I have so much yellow at this point that it is easier to wear it, haha. Have you ever had an off day where you forgot to put on something yellow? No, no – but one time I was flying to a show and I think something happened where either I lost a suitcase or it was a delayed flight and I had to run straight from the airport to the show. All I had on me was what I was wearing in the plane which was a yellow sweatshirt and the flight attendant had spilled a coffee on it – but it was my only yellow so I still wore it on stage, haha! 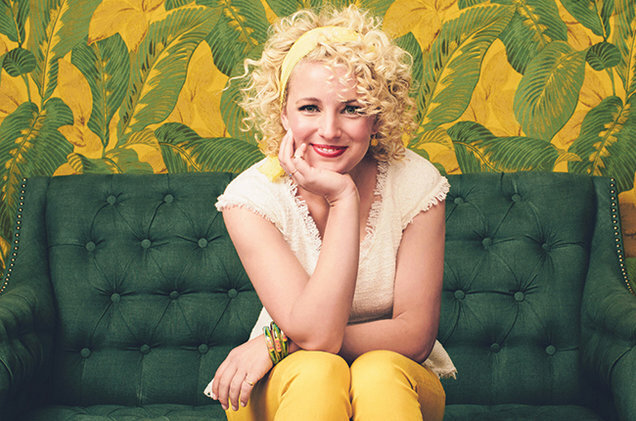 Are you starting to see an increase in fans wearing yellow at your shows? Yeah, which is so cute, I love it! Especially young fans, it’s really cute to see them in yellow. Your debut album Untamed is for me, and many others I am sure, one of the best albums I have heard in a long time with every song being single-worthy. How long did it take to put the album together and were you completely satisfied with it? Were there any songs that didn’t make the album that you wish had? Thanks for saying all that – that means a lot to me. It took probably about four or five years just songwriting and then kind of getting to the point of getting it kick started; getting a producer and going through the songs that we wanted. Then we had to take it to the labels and see who wanted to sign me, then getting signed and then doing the finishing touches. So it was a long initial process and it was a wonderful time writing all of it. There are definitely songs that I love that I still play live, especially when I get to do longer shows like at The Tabernacle, where I get to play songs such as Fireball Whiskey and all kinds of songs that didn’t quite make it on the album. I don’t regret them not being on there as I feel I got to make the album exactly how I wanted and now the other songs have found their own life in other places. As I mentioned, the album is full of great songs; it’s a real treasure chest. What I love about it is that your personality comes through in every song. As an artist, do you ever face any challenges pouring your emotions and experiences onto paper and then producing a song, or do you find it healing? It is very difficult to be vulnerable and to share. At the very beginning with Burning House, I was very embarrassed to sing that song live – like my face would get hot, haha. But there are rewards on the other hand that people who have been through something similar can understand where you are coming from and they sort of recognise themselves in the song. They come up to you and give you a big hug when they happen to recognise you and what you’re singing about. You feel they know you and you know them and it’s like it makes this whole connection worth all the risk of embarrassment, you know? It’s a hard lesson to learn, but once you get that first feeling that someone understands you better and you understand them better, it makes the whole process worth digging deep for that stuff. I can understand that, and Burning House is one of the most beautiful songs that I have ever heard as is the song Village. How does it feel to hear that songs such as Village truly connect to your fans and help them through tough times – because that is one of the songs I hear people talking about the most – and it’s not a single, so that must feel truly special? That is one of the most important songs to me that I have written. It is a very personal song and it’s now and always is uncomfortable to sing. I had definitely had a talk with Claire and with her family before putting it on the album because, you know, it’s not just my story, it’s their story. Putting that out into the public where they are going to have to hear it and hear responses to it, sometimes it’s not what you want all the time. But they were just so touched that it is there and it’s a good memory of Chris. I love actually every now and then letting Claire know the stories that you get from people, so that she knows she is not alone. So many of us are going through that right now and are trying to figure out how to deal with those emotions and fill that empty void you have when somebody leaves and, yeah, it’s heavy stuff, but I love hearing when people connect with that one. They really do and it’s an absolutely beautiful song, thank you for sharing that story with us. How does it feel to have a huge fan base in the UK where we don’t have Country radio but your music has reached fans through word of mouth and has enabled you to come over here three times in such a short space of time, always selling out those shows. It is wonderful. It is actually a really interesting double edged sword in the US, because I think people take it for granted that you get Country Music over the radio here and that you get so much of it and there is always something that’s hot that’s on the radio. You do reach a lot of people through it, but I think a lot of times it can end up being fans that definitely aren’t as dedicated and committed to learning your whole album or your sound and what your songs are about. I think because it’s so much harder for you guys to get your hands on the music, which is still easier than it was before, but the fact that you guys are used to kind of diving into it, you are very perfect kind of fans which all musicians want. You are people who love music so much that you want to find everything you can about it and stay engaged. It’s actually a blessing in disguise that you don’t have that much Country radio because I love the kind of fans that it makes right now. You are working in a new album, are you able to tell us anything about it? When can we expect a release? Yeah, I am working on it and hoping to have a new song out within this year and hopefully the album for the next year. Brilliant, I can’t wait. Thanks so much for talking to me today and I hope that you come back to the UK again really soon. Yeah, you too, thank you so much.